If you enjoy working with people and care about animals and the environment, Bay Ecotarium might be the right place for you to work. Bay Ecotarium is an equal opportunity non-profit employer seeking several roles. To apply for any of the jobs listed below, please send a cover letter mentioning the job title for which you are applying, along with your resume to hr@bayecotarium.org or the email address listed with the job description. The Event Services Coordinator is responsible for client relations and coordination, consistently collaborating with all Sales & Events teams, event leads, vendor relations, permits and any others in positions deemed necessary to successfully produce stellar events that ‘wow’ our clients. The Events Services Coordinator successfully manages, tracks and supports a high volume of events at all Bay.org facilities and completes Staffing Requests, Events Advisory documentation and handover from the sales team of all event-related information in a complete and timely manner. This position reports to the Director of Tourism and Event Services. Full job description – Event Services Coordinator, click here. The Finance Manager manages the day-to-day financial operations and accounting functions. The Finance Manager develops and maintains efficient and effective financial operations, assists in preparation of organizational and department budgets and financial analyses, and ensures that appropriate policies, procedures, and internal controls are maintained to safeguard the organization and facilitate effective financial management. The Finance Manager will be an experienced and can-do professional committed to building and maintaining effective infrastructure for financial management, and will bring to the position strong analytical and organizational skills and the ability to be task-oriented and hands-on. This positions reports to the Controller. Adhere to policies, procedures and internal control measures to safeguard assets and prevent fraud. Conduct month-end closings, balance sheet reconciliation and ensure all accounts are properly reconciled. Prepare and communicate timely monthly financial statements to all departments. Supervise bank accounts, cash flow analysis and all bank reconciliations. Work closely with Controller and other departments to ensure good accounting practices and procedures are being followed. Audit Accounts Receivable, Accounts Payable and Journal Entry transactions. Review and analyze various insurance policies and payments including deferrals & accruals. Assist Controller with supervision of day to day operations. Assist with preparation of annual budgets, forecasting and variance analysis. Prepare year-end reconciliations and assist with the annual financial audit. Work on special projects and/or ad hoc analysis. Full job description – Finance Manager, click here. If you are interested in this position, please first visit and thoroughly explore our website: aquariumofthebay.com. Then submit cover letter and resume via email at hr@bayecotarium.org. Include your name and “Finance Manager” in the subject line, and submit a cover letter and resume as separate attachments. No phone calls, please. The Bay Ecotarium/Bay.Org is the leading institution of climate change, water conservation and education.  Our five institutions, including: Aquarium of the Bay at PIER 39, Sea Lion Center at PIER 39, The Bay Institute, Bay Academy and The Bay Model. We seek an experienced strategic content and media engagement professional, who is looking for an opportunity to reconceive the climate and conservation-going experience. Be The Movement. Create and manage the timeline, program and task list for all Bay Ecotarium hosted events (excludes private events). Lead all public event planning and production meetings and discussions. Organize and lead collaboration with the Bay Ecotarium’s Team on event concept, graphic design/production/printing, and event marketing. Negotiate costs and services with vendors; book event space, arrange food and beverage, order all supplies/decorations, coordinate audiovisual equipment & operation. With the Volunteer Coordinator, secure volunteers; manage the staff and volunteers working at the event. Manage on-site production and coordinate the events on site set up and clean up for events as necessary. Assist the Director of Strategic Promotions in sponsorship of public events and aquarium sponsorships. Full job description – Strategic Promotions Manager, click here. 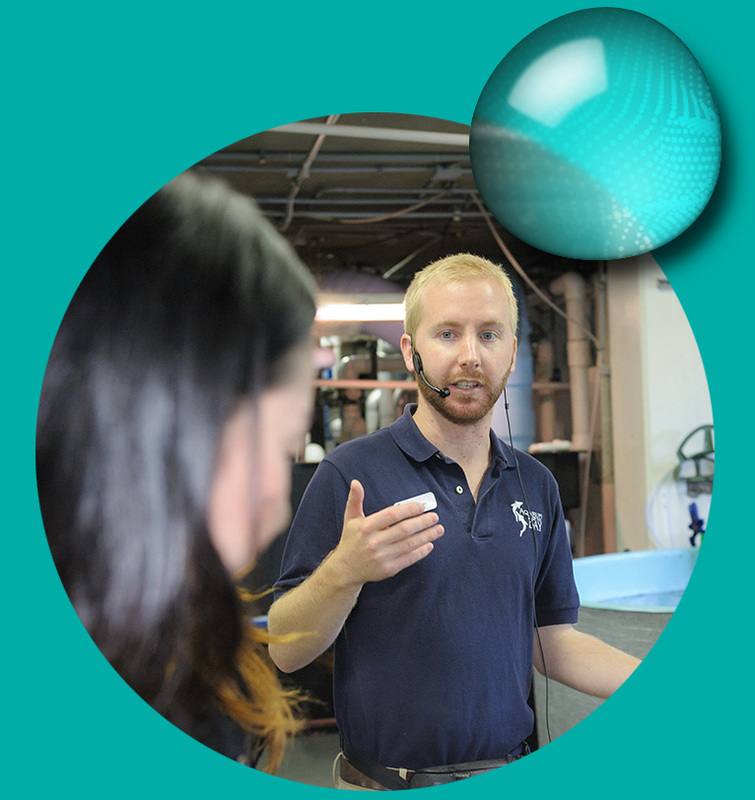 To apply, submit a cover letter and resume to hr@bayecotarium.org, subject: Strategic Promotions Manager. The Guest Services Supervisor position is responsible for working alongside the Director of Guest Services, the Guest Services Manager and Assistant Managers to oversee the day-to-day running of all ticketing, retail, and specialty areas. As a Supervisor, you are expected to set the tone and example for the rest of the Guest Services staff; our Supervisors should always be viewed as our best associates! The position will involve working with the Guest Services Manager and Assistant Managers daily to ensure proper and effective staffing for all ticketing areas, overseeing front desk transactions and interactions, managing associate’s daily cash flow, managing and coaching staff for excellence and, most importantly, providing each aquarium guest uncompromised hospitality and quality service. This position reports to the Guest Services Manager, Guest Services Assistant Managers, and Director of Guest Services. This is a full-time, hourly (non-exempt) position – working 40 hours per week. This position is located at the Aquarium of the Bay on PIER 39 in San Francisco, CA. Full job description – Guest Services Supervisor, click here. To be considered for this position, please send a resume and cover letter describing your interest and experience related to the position via e-mail to guestservicesjobs@bayecotarium.org, subject: Guest Services Supervisor – Full Time. Part-time associates must be available to work 5 days a week- including weekends and holidays depending on needs of the department. Full job description – Guest Services Sales Associate – Full Time, click here. To be considered for this position, please send a resume and cover letter describing your interest and experience related to the position to guestservicesjobs@bay.org. Shifts are scheduled based on operation hours and may change as deemed necessary for business purposes. Full job description – Guest Services Sales Associate – Part Time, click here. To apply, submit a cover letter and resume to guestservicesjobs@bay.org, subject: Guest Services Sales Associate – Part Time. Full job description – Director, Capital Campaign, click here. To be considered for this position, please send cover letter and resume to vicki@bay.org . Established 33 years ago, The Bay institute focuses on good science embedded in good environmental policy and advocacy through three program streams ranging from Rivers, Delta, Coast and Oceans. The Bay Institute is a division of Bay.Org. The Bay Institute full-time Director will lead TBI to the next phase of collaboration, innovation and expansion in line with our conservation mission from Sierra to the Sea and lead its efforts and bring about transformative change in the scope of its mandate. The position entails developing a new team of professionals, research grant prospects, respond to RFPs, develop learning materials, engage in field research, consult, publish and participate in testimonies that impact environmental policy and green and clean energy issues. Full job description – Director, The Bay Institute, click here. The Bay Ecotarium/Bay.Org is the leading institution of climate change, water conservation and education. Our six institutions, including: Aquarium of the Bay at PIER 39, Sea Lion Center at PIER 39, Eco Center at Heron’s Head Park, The Bay Institute, Bay Academy and The Bay Model. We seek an experienced strategic content and media engagement professional, who is looking for an opportunity to reconceive the climate and conservation-going experience. Be The Movement. Networking with local, regional, state and national media for story pitches and building relationships. Fielding media inquiries and making story pitches to the media. Creating media releases for all of Bay.Org institutions for events and information. Responsible for the content of the quarterly EcoCurrent Newsletter. Creation of online media content for the social media team, such as online storytelling and institutional messaging. With the President & CEO, work to counter negative publicity and handle crisis and emergency communications. Set annual performance goals in consultation with the Director, Strategic Promotions and President & CEO with measurable deliverables to be reviewed monthly. Work to engage institutional awareness and drive ticket sales and revenue while delivering the Bay Ecotarium/Bay.Org brand promises. Oversee visit planning tools, working with internal partners to collaboratively address the physical and digital planning needs of visitors during pre-visit, visit, and post visit. Represent the Bay Ecotarium/bay.org at appropriate media and consumer related events and functions. Work closely with the divisions and departments of the Bay Ecotarium/bay.org to group tourist market segments in effective, innovative and creative media. Full job description – Strategic Content and Media Engagement Manager, click here. To apply, submit a cover letter and resume to hr@bayecotarium.org, subject: Strategic Content and Media Engagement Manager. Full job description – HR Services Manager, click here. To apply, submit a cover letter and resume to hr@bayecotarium.org, subject: HR Services Manager. Full job description – Coordinator of Volunteer Services, click here. To apply, submit a cover letter and resume to hr@bayecotarium.org, subject: Coordinator of Volunteer Services. This is a part-time, hourly (non-exempt) position -working a minimum of three days a week. To be considered for this position, please send a resume and cover letter describing your interest and experience related to the position via e-mail to guestservicesjobs@bayecotarium.org, subject: Guest Services Supervisor – Part Time. Reporting to and working closely with the Director of Strategic Promotions, this position will develop the strategy and supervise the daily operations of all Promotions and Social Media functions and its associated staff, as well as the Public Relations function. Responsible for imaginatively articulating the mission and values of Bay.Org and its six branches to its various audiences including school groups, tourists, members, patrons, sponsors, supporters, among others. Lead the development and implementation of both one-year and multi-year strategic, multi-channel, integrated marketing plans that leverage traditional and digital media to favorably position the collections, exhibitions, programs, and research at Bay.Org and to facilitate audience and visitor growth in support of the institutions mission and goals. Identify and prioritize new and existing target markets to maximize the deployment of marketing resources. Collaborate both inter- and cross-departmentally to develop marketing plans and strategies. Effectively and continuously communicate on the status of plan execution. Develop and manage the production and distribution of Newsletter, Email Communiques, Website updates, Public Service Announcements etc. Support Bay.Org’s efforts to further establish and define institutional identity/brand, by consulting widely across the organization and working closely with colleagues in Design, Exhibits, Education, external consultants and editorial resources to ensure clarity and ongoing reflection of our values and mission. Set and monitor marketing campaign effectiveness (especially for online and social media campaigns), producing timely reports, and developing contingency strategies as required. Work with the Director of Strategic Promotions, Director of Tourism and Events Sales Services, and Director of Visitor Services on regular and relevant market and audience research, including the monitoring of specific trends and best practices. Recommend and incorporate changes where appropriate to maintain and promote the Aquarium as a destination. Work closely with San Francisco Travel, Pier #39 and other agencies; review visitor demographic and tourism trend reports and recommend reactive and proactive measures. Bachelor’s degree and experience in the hospitality industry; Science background preferred. To apply, please submit cover letter and resume to: Human Resources at marci@bayecotarium.org. Please put “Strategic Promotions Coordinator” in the subject line. Reporting to the President & CEO, the Director, Institutional Advancement will lead and manage and comprehensive institutional advancement program. The Director’s primary goal is to research, identify, solicit and generate funding for bay.org through grants, memberships, sponsorships, donations, planned giving and corporate partnerships for operations, programs, endowed positions and capital works. Full job description – Institutional Advancement Director, click here. To be considered for this position,Please send cover letter and resume to vicki@bay.org . Full job description – Guest Services Associate, click here. To apply, submit a cover letter and resume to guestservicesjobs@bayecotarium.org, subject: Guest Services Associate. Reporting to the Director of Development, the Institutional Giving Officer is responsible for raising financial support from institutional funders requiring proposals, both for unrestricted and restricted revenue. The candidate should have a proven track record in producing successful grant proposals, excellent writing and communication skills and the ability to work in an innovative work environment. Identify, cultivate, solicit, and secure funding from a growing portfolio of institutional funders including foundations, state and federal sources, corporations and individual donors. Set and achieve specific fundraising goals for all 5 divisions of bay.org including programs of The Bay Institute, the Eco Center, the Sea Lion Center and Aquarium of the Bay. Write proposals, reports, letters of inquiry, briefing materials for meetings and site visits, internal memos, and other documents. Work with Director to conceptualize, develop, and implement strategies and craft pitches to fit funders’ goals and requirements. Work with colleagues throughout the organization to gather information and data for proposals and reports, and develop content for proposals and program budgets. Develop and maintain strong relationships with funders. Identify new potential funders including foundations, state and federal sources, corporate and individual funders to grown the institutional giving pipeline. Plan and lead funder meetings and special events, engaging other staff and board members as needed. Manage and oversee grant revenue status; work closely with the finance team to assure accuracy. Support activities that encompass the entire Development team, including event support. To apply, please submit cover letter and resume to: Human Resources Director, Laura Canaya at hr@bayecotarium.org. Please put “Institutional Giving Officer” in the subject line. Please include a writing sample and a portfolio of awarded grants. We are currently hiring (1) Education Specialist with shifts scheduled either Sunday-Thursday or Tuesday-Saturday. These staff members will focus on supporting the various K-12 and youth programs at Aquarium of the Bay and the Sea Lion Center, as well as supporting the daily operations at both sites. Under the supervision of the Associate Director of Education and Outreach and Education Manager for School, Youth, and Community Programs, the Education Specialists are responsible for ensuring the best possible guest engagement and student/youth experiences. This includes acting as an Interpretive Naturalist and Teacher, as well as providing leadership and support to the Naturalist team during supervisor shifts. This is a full-time, hourly (non-exempt) position – scheduled for 40 hours per week. Work schedule is will either be Sunday through Thursday or Tuesday through Saturday. Must also be able to work periodic early mornings and evenings. Full job description – Education (K-12) Specialist, click here. To be considered for this position, please send a resume, a cover letter, and three references describing your interest and experience related to the position via e-mail to Abby Nickels, Associate Director of Education and Outreach, abby@bayecotarium.org. Position is open until filled. We are currently hiring 3 full-time staff in the Education department who will focus on provided excellent informal conservation education programming for the Aquarium’s and Sea Lion Center’s thousands of visitors. Available shifts include Sunday-Thursday or Tuesday- Saturday, and some holidays. Reporting to the Associate Director of Education and Conservation, these positions encompass a variety of responsibilities including supporting daily departmental operation, program presentation, program development, and mentoring other Education staff. This is a full-time, 40 hours per week, hourly (non-exempt) position. Work schedule is Sunday – Thursday or Tuesday – Saturday. Must also be able to work periodic early mornings and evenings. Full job description – Interpretive Specialist, click here. To be considered for this position, please send a resume, a cover letter, and three references describing your interest and experience related to the position via e-mail to Abby Nickels, Associate Director of Education and Outreach: abby@bayecotarium.org. Position open until filled. Aquarium of the Bay and the Sea Lion Center are currently hiring three (3) full-time Educators with shifts scheduled either Sunday-Thursday or Tuesday-Saturday. The Aquarium of the Bay and Sea Lion Center Educators work at two separate venues, welcoming, orienting, and engaging with guests at both locations, as well as facilitating both on-site and off-site classes with Bay Area K-12 school groups. At the Aquarium, Educators are expected to engage guests via a variety of methods including formal and informal presentations, casual interactions, animal ambassador encounters, and facilitating education at our Augmented Reality experience. Additionally, educators are expected to use specific communication tools to help increase climate change and environmental literacy and encourage behavioral changes related to those issues. This position reports to the Education Manager of Guest Experience and Public Programs and the Education Manager of School, Youth, & Community Programs. This is a full-time, hourly (non-exempt) position – scheduled for 32-40 hours per week. 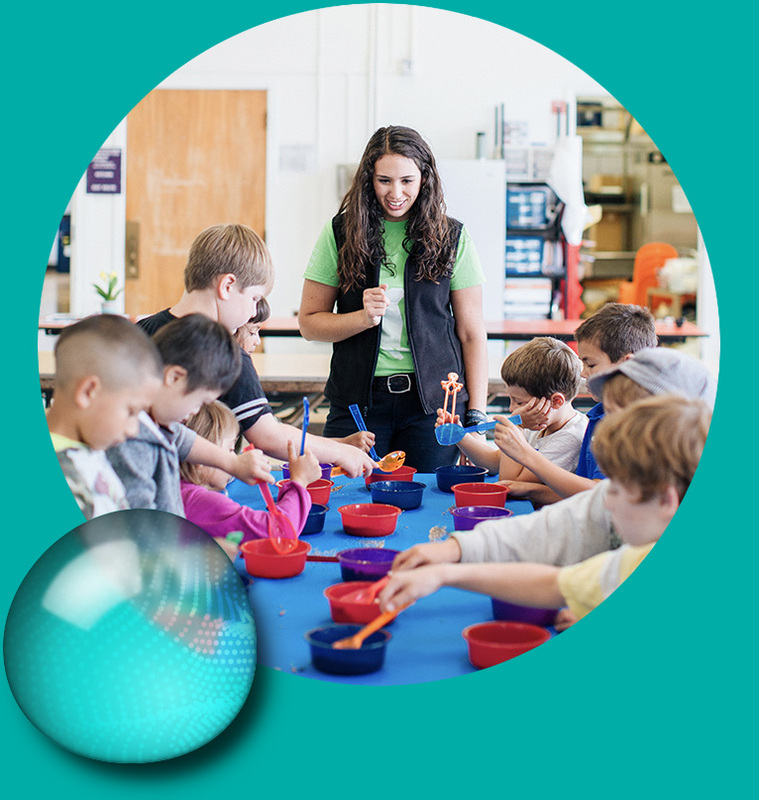 Full job description – Full Time Educator, click here. describing your interest and experience related to the position via e-mail to the Education Manager of Public Programs and Guest Experience: mayra@bay.org, subject: Full Time Educator. Position open until filled.